Since Huntley’s first steps at seven months old, it’s been a real battle to put her in a stroller, shopping cart, or even her carseat (which she usually loves). 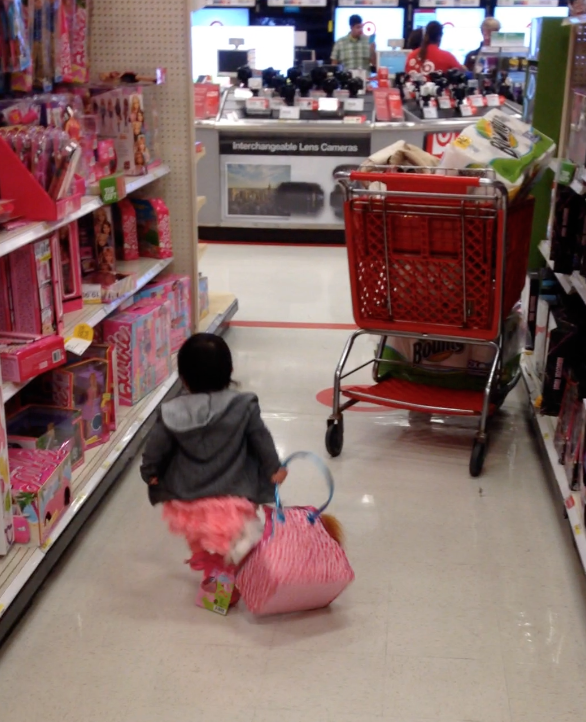 These days she thinks she’s little miss independent. Always wanting to go explore on her own since she can walk all by herself. Unlike some of her baby friends from our mommy group, she doesn’t worry when she can’t see me, that is if she ever looked for me at all (I’m usually hiding around the corner or behind the clothing racks keeping a watchful eye). But, no, she doesn’t really care. 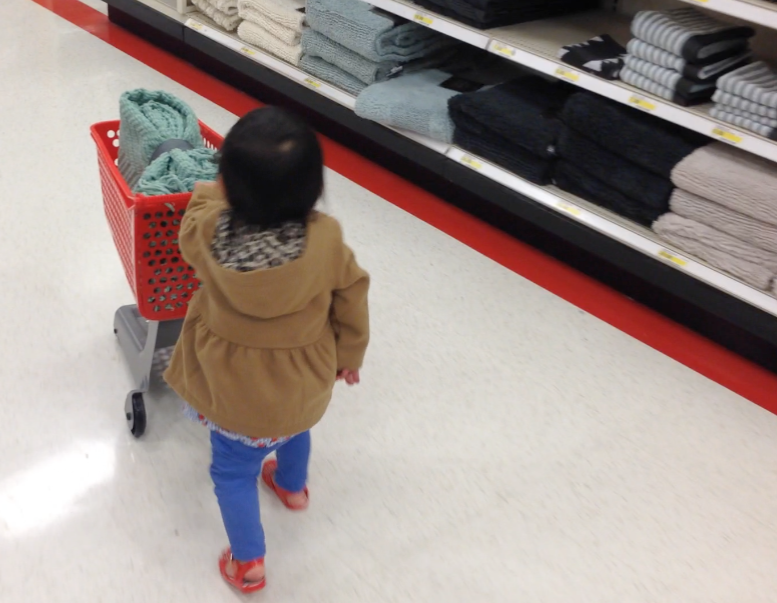 Shopping use to be enjoyment for me, even when she was a newborn (that was the best time). Now, it is work! I spend most of my time chasing her around the store rather than getting things done. I can’t even look at my shopping list on my phone or even written on a piece a paper without this girl wanting to chew on it. Today I was in a motivate mood and told myself that I would get the rest of our Christmas shopping done, wrapped, etc. We went to Nordstrom Rack and boy, was that fun (in a sarcastic tone). A normal 30-45 minute trip had turned into an exhausting two hours. 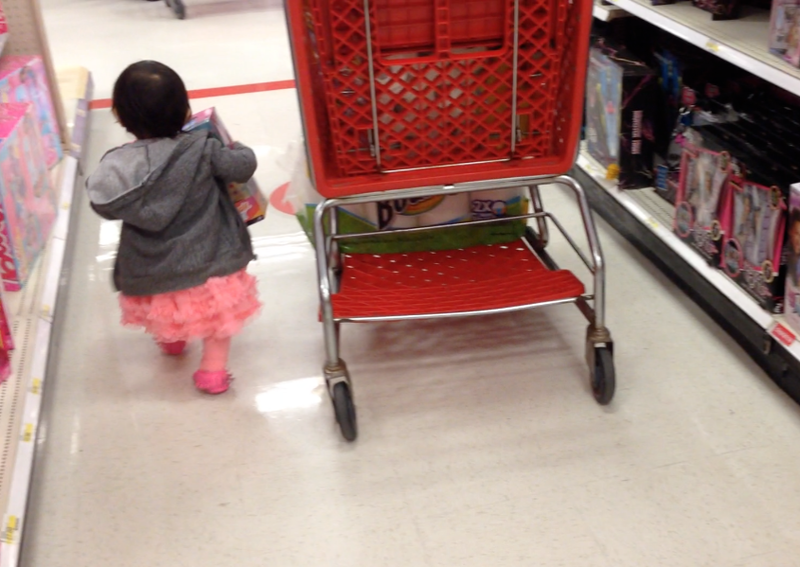 Most of the time was spent letting Huntley walk around the store and trying to teach her to follow me. 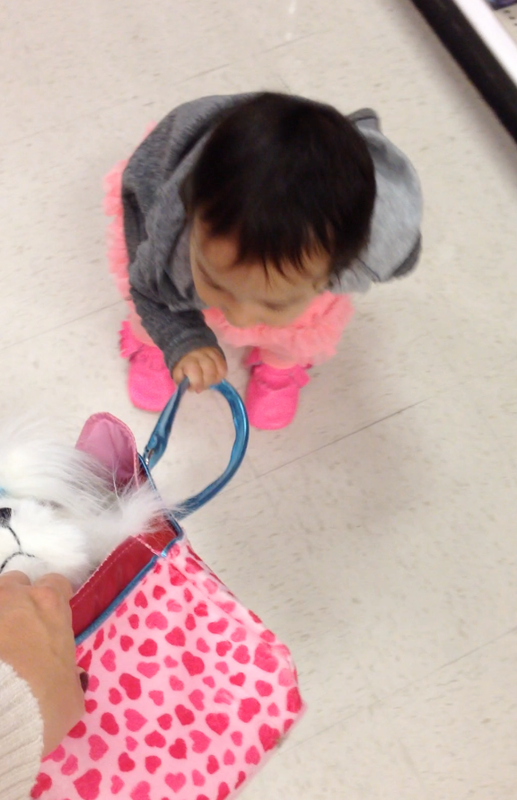 Putting her in the cart will leave her screaming. I tried buckling her in the cart with my purse and cell phone to entertain her, but that didn’t last long as she dropped my cell phone. And as I went to pick it up she somehow figured out how to unbutton, unzip, and find all my credit cards and cash “making it rain” hundred and twenties in the store, which had me on my knees making sure to have picked up everything she had thrown. Nonetheless, I got most of our remaining presents down – success! Next up was Target, but judging by our first shopping trip of the day, I decided to come back home and let her nap for a bit. It lasted about thirty minutes. Enough time for me to clean the dishes and wrap the presents that I had just bought. We headed back out to brave another shopping adventure after she had woken up. I decided to try the Ergo and a Wubbanub to try to keep her calm. This only lasted from the parking lot to the store, and then she was screaming again… I put her in the shopping cart and tried to entertain her as best I could with non-stop high-fives, tickling, and mini toys. Yes, I came prepared this time. Sadly, those didn’t last long and we were back at it. Her walking around as I chased behind her. I grabbed some of the main items on my mental shopping list: Charmin, check, Bounty, check, Mrs Meyer’s countertop spray (my favorite), check, Mr Clean Magic Erasers, check, Juice, check, random other crap that Target gets you with, check. Leaving the store, sweat beads rolling down the sides of my face, I felt good I got everything on my mental list or at least I thought so. I sit in my car and “oh shoot!” I forgot the water. I really needed to get the water. We ran out this morning, how else would I make Huntley’s formula? And now this leaves us to the third stop, this time into the grocery store. We step in, meat is on sale, right before we reach the water aisle. I guess I’m cooking steak tonight. Added into the basket the sides, potatoes, salad, then some fruit, since Huntley really wanted to take those apples and bananas down and don’t forget the water – finally we’re out of the store. Luckily on the mini drive home, she fell asleep. This gave me time to move all our shopping bags into the house and I was even able to transfer her, without waking her up, to her crib. 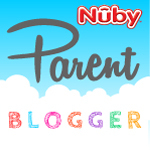 So here I am, blogging and cooking dinner before she wakes up and the husband gets home. I feel exhausted today, but I know it won’t always be like this. I know that one day she will follow me and I won’t have to chase her through the stores. I know that one day she won’t even want to go shopping with me and will tell me herself. And so, for now, I will do my best to enjoy these moments, the good moments – like when people in the store tell me how sweet and cute she is as she smiles and waves hi to everyone as I follow her through the store. Because it won’t always be like this.